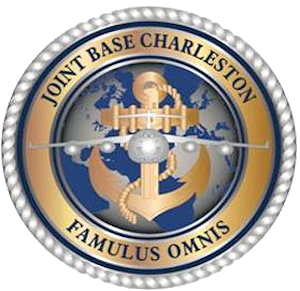 Joint Base Charleston is located about 10 miles from downtown Charleston, South Carolina, on approximately 3,400 acres of land within the North Charleston city limits in Charleston County. We’re located in the heart of the Lowcountry, the portion of historic South Carolina where pine and oak forests meet with the natural beauty of Intercoastal Waterway marshes and gorgeous barrier island beaches. With a rich military history and a moderate cost of living, the area has attracted many military retirees that now call the Lowcountry home. The Navy has 42 Commands in Charleston, as does the Coast Guard. The greater metropolitan region has a population of 500,000 and we enjoy a great relationship with civilian communities where we actively participate in many civic, social and cultural events. The base operator's phone number is 843-963-1110 or DSN 312-673-1110. The first flight took off from Charleston Army Air Field in 1931. The Air Force officially named its facility as Charleston Air Force Base in June 1953. For a thorough history of the installation, visit the installation’s homepage. Commissioned in 1941, the Naval Weapons Station (NWS) Charleston had two distinct missions: as home for two strategic submarine squadrons and a tender, and as an ordnance station with capacity for more than 60 million pounds of conventional ordnance. The ordnance mission continues today, and Joint Base Charleston - Weapon Station is the only military installation in the continental U.S. with completely unencumbered explosive safety arcs. The Weapons Station has expanded its mission and DoD support role, and today is a training center for the Naval Nuclear Power Training Command, Nuclear Power Training Unit and other tenants. For more information on NWS, please visit the installation's homepage. The 628th Air Base Wing has two operational groups consisting of 10 squadrons and one wing staff directorate. We also host the 437th Airlift Wing, the 315th Airlift Wing (Air Force Reserve). 17 Air Force mission partners and 36 mission partners at the Weapons Station. Together we provide a large part of Air Mobility Command's global reach airlift capability. We are a key element in overseas contingency operations and in worldwide humanitarian operations. JB Charleston (AF) is home to the Air Force’s the C-17 Globemaster III. The Joint Base Charleston team serves more than 80,000 Active Duty Military, Reserves, Government Employees and Contractors and Dependents. Because of our mild climate and moderate cost of living, Charleston has a very large population of retirees. Joint Base Charelston also serves members from other military services. Tenant units include 1st Combat Camera, AFOSI Det 310, Area Defense Counsel, and Air Force Audit Office. JB Charleston - WS is home to the Naval Nuclear Power Training Unit; an engineering center, with the Space and Naval Warfare Systems Center and as the Army logistics hub, the busiest CONUS surface port in the defense transportation system. 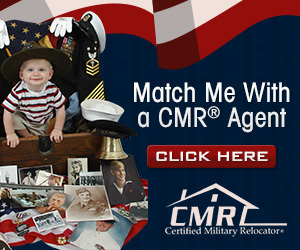 A sponsor is someone from your new command who is assigned to assist you with settling into your new location. Your sponsor or gaining unit will provide you with a Sponsor Packet with extensive information on JB Charleston (AF) and the community, as well as area maps. If you do not hear from your sponsor, you can contact the Airman and Family Readiness Center for assistance at 843-963-4406 or DSN 312-673-4406. If your sponsor does not meet you upon arrival, the 24-hour check-in point is the Inns of Charleston 843-963-3806 or DSN 312-673-3806. If you have not been assigned a sponsor or have not been contacted by your sponsor, you may request one by contacting your new command or by using the Sponsor Assignment Aid on the Stay Navy web site. Each separate tenant command is responsible for its own sponsorship program. For more information on requesting a sponsor, contact the administrative offices for your command (see Major Units Listing tab). All mail should be forwarded to your gaining command's address. Your sponsor can make arrangements for holding your mail until your arrival. No listings found for Charleston Naval Weapons Station.